Having a functioning printer is vital and when they stop working, it can be frustrating. Printer drivers are the main source of complications for printers that refuse to print. If you find that your printer drivers are unavailable, your next step is to fix them so that you can move on with your printing. Printer drivers are the most important parts of the printing process. When you’re having a hard time printing or you’re experiencing printing errors, your printer driver is one of the first places you should look. If your printer has stopped function altogether and one of your drivers is unavailable, it’s likely an issue with software. This is an issue that’s most common with Windows 10. To find out how to fix it, keep reading below. One of the main reasons why your printer driver is unavailable is that your driver could be incompatible or corrupt. When this happens, it’s in your best interest to try reinstalling your printer driver. When your printer driver prevents you from printing, reinstalling your driver will remove the error. If you want to do this, you must first press your Windows key and your R key. Once you do, you’ll be launching Run. You should have a dialogue box appear on your screen. Now, you should enter the following text: devmgmt.msc and Click OK. Your next step is to find your printer driver. Once you do, you can choose the uninstall option. You’ll have to go to your printer manufacturer’s site. 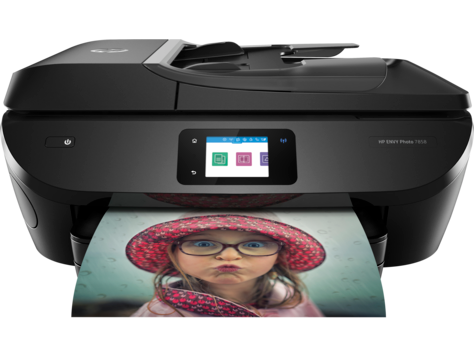 On this site, you should be able to find the right printer driver for the printer you have. After installing it, you can try to use your printer again to see if the problem has been solved. If your printer isn’t working, you may want to look at your Windows updates. Some people forget to turn ON automatic updates, which prevents your driver from updating and may require you to troubleshoot it. In order to turn ON your automatic updates, you have to click on your Start button. You should see a search bar on your menu, where you’ll search Search For Updates. Once the window opens, it’ll say Updates Are Available if you have to update your system. If you see this option, you may want to consider updating your Windows system to see if it helps your printer error. It may take some time for your computer to update if you haven’t performed any for an extended period of time. You will have to restart your computer after the updates have been completed. Printer drivers can pose a serious threat for printer owners. When one is unavailable, it often means that your Windows needs to be updated or that your printer drivers incompatible and corrupt. Your best solutions are to reinstall your printer drivers or to run Windows updates on your computer. Some of these can take a considerable amount of time, so you may want to prepare in advance. For more information, feel free to contact us!